POST YOUR #CALIBERPRIDE AND WIN! Post your most creative #caliberpride on instagram and tag @jforacause. Our favorite photo will win a Caliber Detroit “D” Cuff! Daniel Calder…an artist with an incredible soul! This incredible story of how a Police Officer took in two underprivileged children is the perfect example of how one person can Raise The Caliber, not only in the community, but also at home. Warning: grab a box of tissues, this one is a real tear jerker! Raise The Caliber by Tibi Ts are now available! 100% of the proceeds are donated to the Caliber Foundation to help victims of illegal gun violence in America. 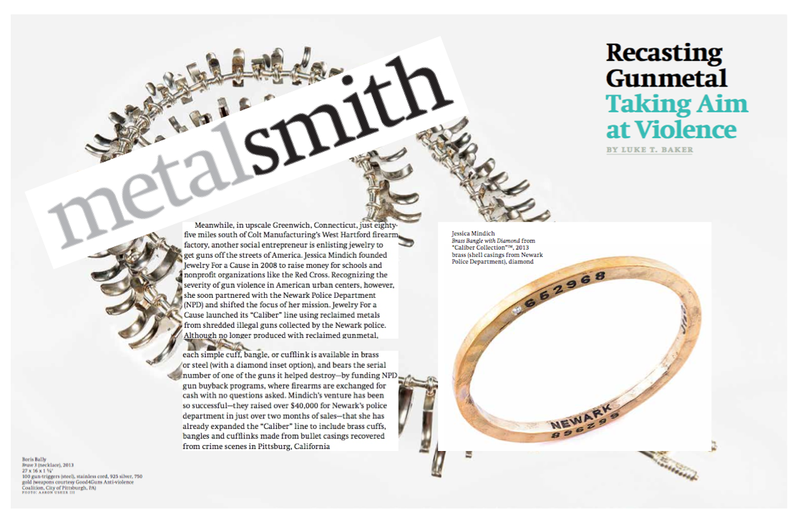 As seen in Metalsmith Magazine! The Caliber Foundation offers support to victims, families and communities that have been devastated by illegal gun violence in America. Just as the Caliber Collection creates opportunities for those who may never have walked the streets of America’s most dangerous cities to participate in making those cities a safer place, the Caliber Foundation connects anyone who donates with the organizations and people on the front lines of re-building lives one small act at a time. 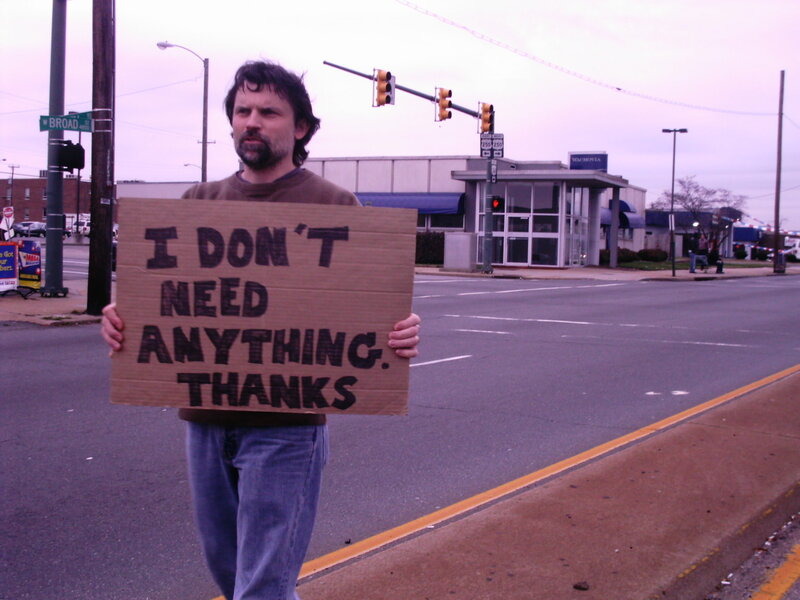 The Caliber Foundation is a registered 501(c)(3). Jewelry for a Cause is honored to be in such “do-good company” as Alex & Ani and MAC. 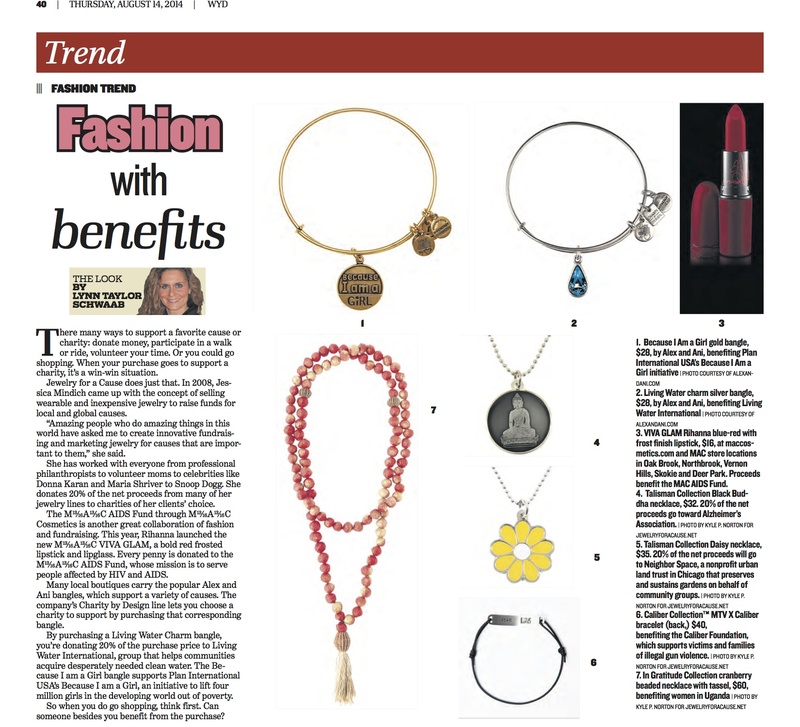 Take a look at the Fashion with Benefits article by Lynn Taylor Schwabb. Thank you, Lynn, for including JfaC!
. @hillharper supports #operationmend ! THANK YOU HILL!